The Kano State Government said on Friday that it had been working to propose a bill on compulsory HIV/AIDS testing for all new couples in the state. The Commissioner for Health, Dr Kabiru Getso, disclosed this at a news conference to commemorate the World HIV/AIDS day in Kano. He said that the Ganduje administration had taken health as a priority and was working tirelessly to ensure quality healthcare delivery services in the state. Dr Getso explained that the state government, in collaboration with the state Hisbah Board, had proposed the bill, which was awaiting passage at the state house of assembly. According to him, “The state government had demonstrated concern about the care and control of HIV/AIDS by giving the scourge all the necessary attention it required’’. He stressed that the state government established the State Agency for the Control of AIDS (SACA), in order to record the progress and achievements so far witnessed in the control of AIDS in the state. “The state has, however, approved the sum of over N443 million to carry out many interventions and outreach services, as well as to create awareness across the state,’’ Getso said. The Commissioner said the government would continue to support people living with HIV/AIDS and would continue to create awareness on the prevention of the disease. 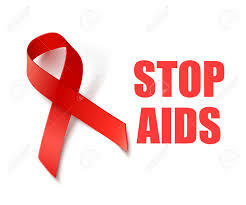 NAN reports that the World Health Organization has declared every December 1st to be World HIV/AIDS Day, to give succour to people living with HIV/AIDS in the state.